The Samsung Galaxy S line is one of Samsung's flagship smartphone lines, along with the Galaxy Note series. Galaxy S smartphones get premium features such as high-resolution screens, fingerprint and iris scanners, and top-notch cameras. Starting in 2010 with the Samsung Galaxy S, the company has released new models each year and shows no sign of stopping. The Galaxy Edge series is an offshoot of the S line. Each of those models features one or two curved edges. 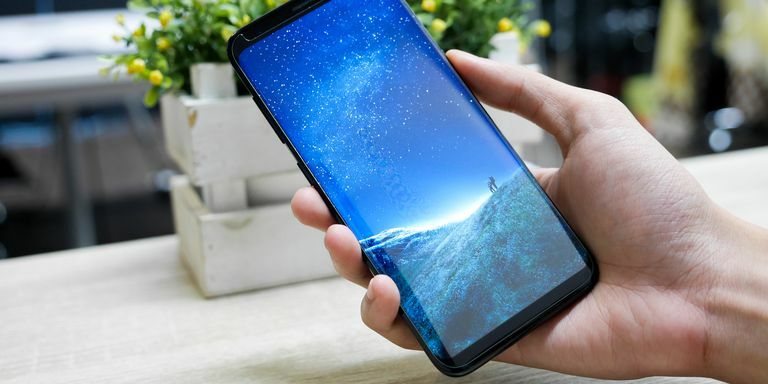 The two overlapped in 2017 with the release of the Galaxy S8 and S8+, each of which features two curved sides, and continued with the S9 and S9+. Here's a look at the notable Samsung smartphone releases. The Samsung Galaxy S9 and S9+ looked similar to S8 and S8+, with Infinity displays that made use of the entire screen, but these smartphones had a smaller bottom bezel and a repositioned fingerprint sensor on the rear panel. The front cameras were also the same, but the selfie camera on the S9+ hadd a dual lens. There was a video feature called "super slow-mo" that shot at up to 960 frames per second. Overall performance got an enhancement from Qualcomm’s latest Snapdragon 845 chipset. Like the S8 and S8+, the S9 and S9+ were water and dust resistant and had microSD card slots and headphone jacks. Both smartphones also supported fast wireless charging. The fingerprint sensor on each smartphone was centered underneath the camera lens, which made more sense than the S8's sensor which is next to the camera lens. The Galaxy S9 and S9+ had stereo speakers, one in the earpiece and another at the bottom, like on recent iPhones. The Samsung Experience user interface, which was the successor to TouchWiz, added a few tweaks to the Android operating system. Finally, these smartphones had a new 3D Emoji feature, Samsung’s take on the iPhone X's Animoji feature. Dual Rear Camera (S9+ only): A Live Focus feature that let you adjust the depth of field in your selfies, while Background Blur did just what it says for artful-looking photos. Super Slow-Mo Video: The S9's camera could capture video that were 32 times slower than standard video, meaning that a video capture lasting 0.2 seconds could become 6 seconds of slow motion video. Slow motion videos could be transformed into GIFs for sharing on social media or displaying on your lock screen. Automatic Motion Detection: This camera feature helped you capture unexpected moments on the fly as either a still photo or slow motion video. AR Emojis: With these Samsung models, you could snap a selfie and turn it into an emoji using Samsung's machine learning algorithm, which scanned your features and expressions. Samsung Bixby on Camera: The company's virtual assistant could recognize objects in photos and offer related information. Nine modes include food, wine, shopping, and QR code. Users could take advantage of Live Translation to translate menus and signs and even get nutritional information about the food they're eating. There were a few differences between the two smartphones. The S8+ phablet had a 6.2-inch screen compared with the S8's 5.8-inch display. It also had a higher PPI (pixels per inch): 570 vs. 529. Both launched in April 2017. The two smartphones more closely remembered the Galaxy S7 Edge than the S7, with screens that wrapped around the sides. There were more than dozen Edge software-customizable panels available and multiple widgets (including a calculator, calendar, and note-taking app). An iris scanner for unlocking the device. Bluetooth 5 support let you send audio to multiple devices at once. The always-on display showed the time and date and unread notifications even when in standby mode. Samsung's virtual assistant Bixby responded to voice commands. A microSD slot that accepted cards up to 256 GB. The Samsung Galaxy S7 brought back some features left out of the S6, most notably the microSD card slot. It was also water resistant, like the S5, a feature the S6 lacked. Like the S6 it didn't have a removable battery. The Samsung Galaxy Note 7 phablet, was notorious for its exploding battery, which got it banned by airlines and eventually recalled. The Galaxy S7 had a safer battery. Like the S6, the S7 had a metal and glass backing, though it was prone to smudging. It had a micro-USB charging port, not the newer Type-C port so that you could use your old chargers. The S7 debuted the always-on display, which showed the clock, a calendar or an image as well as the phone's battery levels even when the device was in standby mode. Samsung also released the Galaxy 7 Edge model, which had an enhanced Edge panel that could display up to 10 shortcuts to apps, contacts, and actions, such as creating a new text message or launching the camera. With its glass and metal body, the Galaxy S6 was a big step up design wise from its predecessors. It also featured a touchscreen that was sensitive enough to respond even when the user was wearing light gloves. The S6 upgraded its fingerprint reader by moving it the home button, making it much easier to use than the S5's screen-based one. It also took what many saw as a few steps backward with a non-removable battery and no microSD slot. The S6 was also not water resistant like its predecessor. Its rear camera also protruded slightly, though its forward-facing camera got upgraded from 2 to 5 megapixels. The S6's display was the same size as the S5 but boasted a higher resolution and pixel density resulting in a much better experience. Samsung introduced the Edge series alongside the Galaxy S6 with the S6 Edge and Edge+ smartphones, which featured displays that wrapped around one side and showed notifications and other information. A small upgrade to the Galaxy S4, the Galaxy S5 featured a higher resolution rear camera (from 13 to 16 megapixels), and a slightly larger screen. The S5 added a fingerprint scanner, but it used the screen, not the home button, and it was difficult to use. It had a similar look to the S4, with the same plastic construction, but had a dimpled back that kept fingerprints from building up. There were also a few variations of the S5 including two rugged models: The Samsung S5 Active (AT&T) and Samsung Galaxy S5 Sport (Sprint). The Galaxy S5 Mini is a scaled-down budget model with less advanced specs and a smaller 4.5-inch 720p screen. The Samsung Galaxy S4 built on the S3 with a big upgrade to the rear camera, jumping from 8 to 13 megapixels. The forward-facing camera moved from 1.9 to 2 megapixels. It also got a bump up to a quad-core processor and a slightly larger 5-inch screen. The S4 debuted Samsung's multi-window split-screen mode, enabling users to view one or more compatible apps at the same time. It also introduced lock screen widgets, where users could see certain notifications and other information without unlocking the device. Like S3, the S4 had a plastic body that was less prone to breaking, but not as attractive as the metal and glass bodies featured on competing smartphones. It also retained the microSD slot and removable battery. The Samsung Galaxy SIII (aka S3) was one of the earliest Galaxy S models in the series, following the original Galaxy S (2010) and Galaxy SII (2011). At the time, the 5.4 inch by 2.8 inch S3 was considered large by some reviewers but looked small in comparison to its successors (see above), which are progressively taller. The S3 had a plastic body, a dual-core processor, and came with S Voice, the precursor to Samsung's Bixby virtual assistant. It also featured a removable battery and a microSD slot.